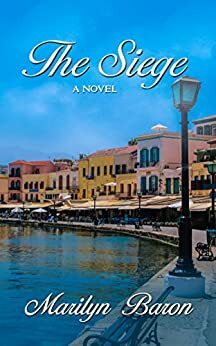 I was captivated by the premise of The Siege. I loved reading stories where the couple is cooped up somewhere due to some external conflict and how they'd react to the intimacy that was enforced on them and what might eventually develop between them due to it. In this novel, Wade and Theia were forced to share a room for all of a night and a day due to terrorists holding up their hotel before they managed to escape. Nothing much happened, but I could understand why this story is titled such; after all, it was because of the siege that Wade and Theia met and came to be together. Theia, however, was on a mission to discover her lost heritage and the grandfather she never knew. In The Siege, she'd find more than that--she'd also find herself and her talent and a love she never knew she was looking for. I didn't much like Theia. When we first met her, she's annoying and rude to Wade, and continued to be so even when he was being a perfect gentleman and doing all he can to make the enforced intimacy bearable for her. Or perhaps she's irritable because she's cooped up with a perfect stranger without the tour guide even saying why she can't go to her own room. The tour guide was panicking so much he left out important information that would've sent his targets scurrying into the room the way he wanted. Anyway, Theia had also spent an entire, tiring day outside, which could've contributed to her irritability. On the other hand, Wade is a nice guy, taking care of her (she injured her ankle) even when she wasn't so nice to him. There were times I wanted to throw my Kindle across the room--I was that frustrated with her. Personally, I can't understand why Wade would be captivated by her. Sure, she's gorgeous (as Wade had said many times), but her personality is a turn off. Obviously, Wade is made of sterner stuff, or else he was willing to suffer much to satisfy his visual appetite. That said, I can't put much stock into the romantic development--it was too fast, considering said personality shortcomings. Also, the start of Part 3, the chapter that featured the letters, was confusing. There was nothing to indicate that that chapter was a flashback to the time when Theia initially found the letters; I originally thought it was a continuation of the ongoing story. In fact, that entire chapter could've been deleted and the reader would've missed nothing. Overall, the history of the Jews in Crete was interesting, and it was fascinating to read it from the perspective of a character whose ancestor was involved in it.